When Enzo the dragon catches a cold, it's no mere sniffle. No indeed! His coughs and sneezes set fields aflame and barns on fire. The villagers are fleeing their farms and the townsfolk are up in arms. What's a poor fire-sneezing dragon to do? As it turns out, a royal magician has just the right medicine to help Enzo get rid of his cold. And soon, with a little bit of Abbra-ka-brew, Enzo is feeling better and ready to head back to his dragon den. 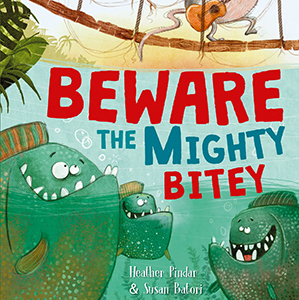 Told in rollicking rhyming text this cautionary talereminds readers of all ages to cover their mouths when they sneeze. How many things can you make in a day? A tower, a friend, a change? 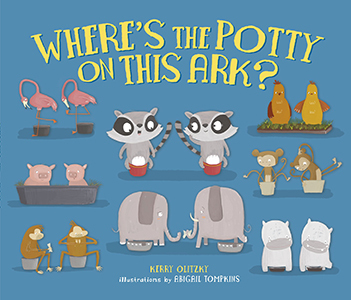 Rhyme, repetition, and a few seemingly straightforward questions engage young readers in a discussion about the many things we make-and the ways we can make a difference in the world. 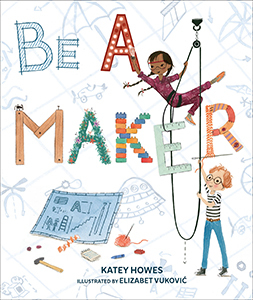 This simple, layered story celebrates creativity through beautiful rhyming verse and vibrant illustrations with a timely message. Jack has a rather grizzly visitor arrive for lunch but they don't want to eat any of Jack's egg sandwiches. So what do bears eat for lunch? Jack is determined to find out what his bear visitor eats for lunch, if he doesn't want any egg sandwiches. 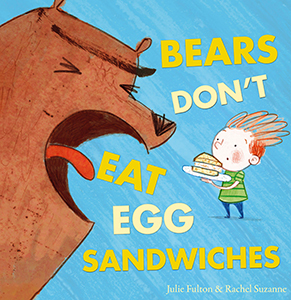 Through quirky illustrations and funny dialogue, the bear tells Jack all about his lunchtime plans, until they're unexpectedly foiled. What kinds of animals live in the different environments Earth supports? 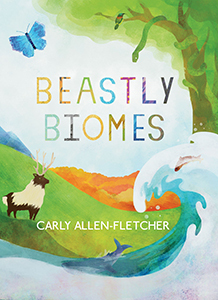 This book shows how animals, birds, and fish all have a distinctive place to thrive, creating homes in unexpected places. Historical events can look different depending on your perspective. In the Behind the Curtain series, readers will come to understand different viewpoints by stepping into the shoes of central characters as they act out dramatic retellings of history's biggest moments. 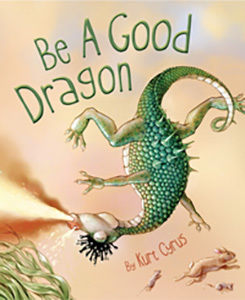 Written with simplified, considerate text to help struggling readers, this series is made to build confidence as readers engage and read aloud. 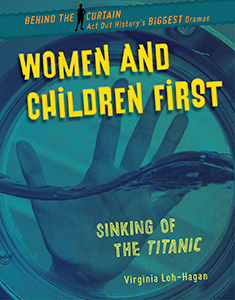 Books in this series include a table of contents, glossary, index, author biography, sidebars, and timelines. Engaging in our communities helps make our country stronger. How can we get involved? 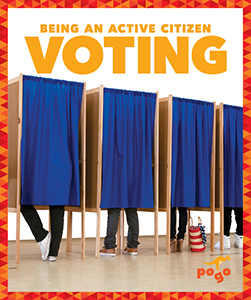 Each book in Being an Active Citizen outlines a specific duty we have as American citizens and ways in which we can participate. Bright, colour photographs complement the carefully levelled text to make reading for understanding easy and fun. Young sports fans will love this information-packed series about the best of everything in Super Bowl history. 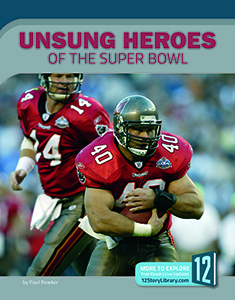 Each book offers a collection of fascinating facts about the featured topic, from Super Bowl's best plays to its biggest upsets. Deep in the jungle, in the still waters of the Nippy Pool, listening, lurking, waiting, live the Mighty Bitey Piranhas! Mouse, Goat, and Bear are on their way to Cougar's party and offer to play some music for them, but the Mighty Bitey have other, more scrumptious things on their minds! God realizes that the people of the world need rules to live by, and decides to speak to them from a mountaintop. Beautiful Mount Carmel, tall Mount Hermon, and majestic Mount Tabor all vie for the honour of being chosen. But little Mount Sinai is silent. Which mountain will God select? 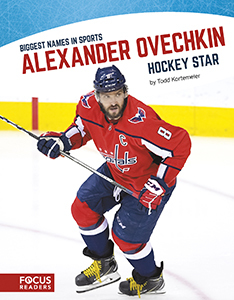 Biggest Names in Sports introduces young readers to some of the brightest stars in sports today. These exciting narratives summarize each player's life and career to date, drawing attention to their accomplishments on the field and career highlights, while also including biographical information such as family life and charity work.